Grant Recipient: Hunger Task Force, Inc. Hunger Task Force, Inc. ($22,235)This $22,235 award supports the Hunger Task Force’s project to restore 13 acres of natural areas along the Root River. In order to promote native diversity along the river, the Hunger Task Force intends to address the problems posed by invasive brush, water pollution, wetland habitat loss, and the general lack of access that the public has to the Root River. 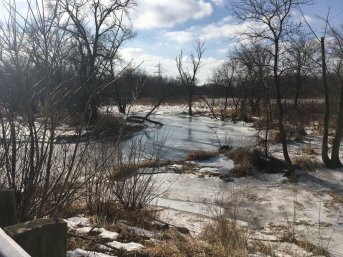 Restoration activities will include: the removal of invasive species, river bank stabilization, and coordinated monitoring of the wetland with Milwaukee County Parks. Moreover, the Hunger Task Force will leverage considerable volunteer support. In 2015, over 5,000 volunteers assisted with restoration efforts.